Violet in the glass and showing a lightness and agility reminiscent of Pinot Noir, it had similar characteristics on the nose. Cherry bouquet with thyme and some coffee came jumping out of the glass. 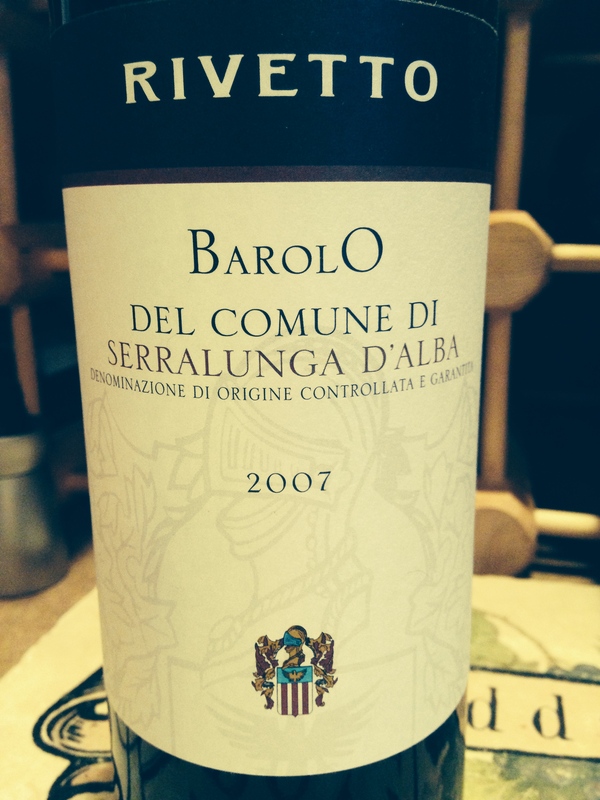 I need to remind myself of the first aged Barolo I tasted…. It was in Alaska and my buddy Mr. Leebering brought it for a Christmas dinner back in 2006. It was a ’97 Ratti that blew me over with it’s seductiveness and complexity. The amazing part of the adventure was my total lack of knowledge in Barolo territory. I did not realize Barolo takes on such Pinot flavors and nuances. I digress…. The wine tasted of tart cherries, cranberry, leather and Muduro. It is a young wine with sprite tannins and a juicy mouthfeel from the beautiful acidity. WS and others gave this wine a whopping 94 points. I can’t see it personally. I am going with 92 and for $50 it is a 4 star wine on one condition- cellar it for at least 5 more years to allow it to meld into the mature Barolo I feel it is capable of becoming. Patience will reward on this one. Serve with meatballs and red sauce for the best results. Salut….